Remove loose hair and embedded dirt and dander from the coat year round without irritating the horse. 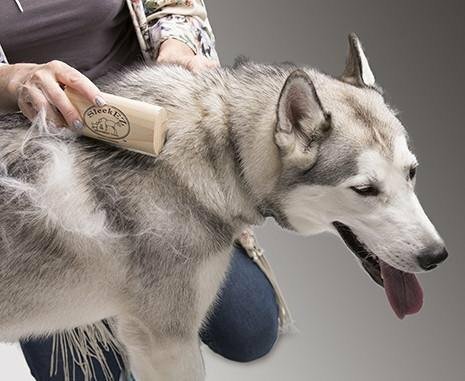 We promise that you will be completely in love with this item come shedding season and all year long. 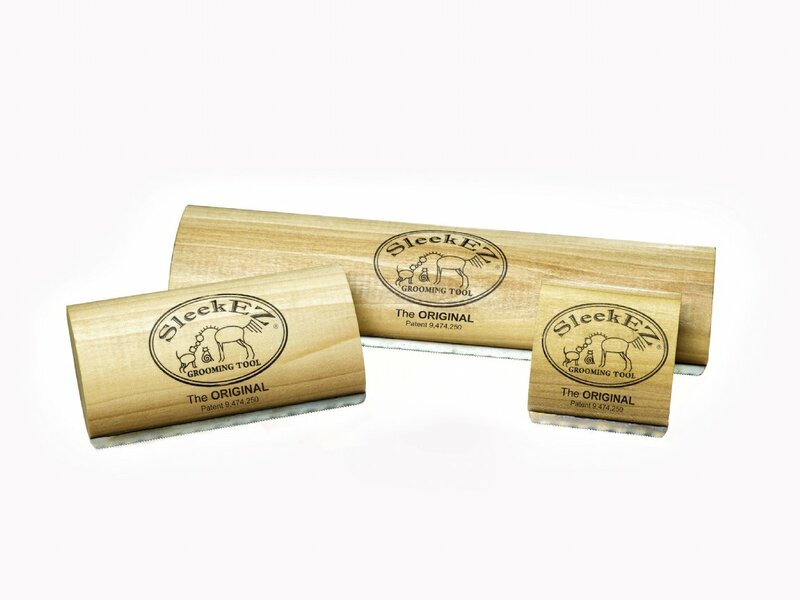 No honing the edges required, and the 10-inch length allows users to use two hands and quickly remove loose hair, dirt and dander. Just simply swipe the metal teeth with a soft horse brush from your tack box to remove dirt build up, continue brushing and watch that sleek pony appear! 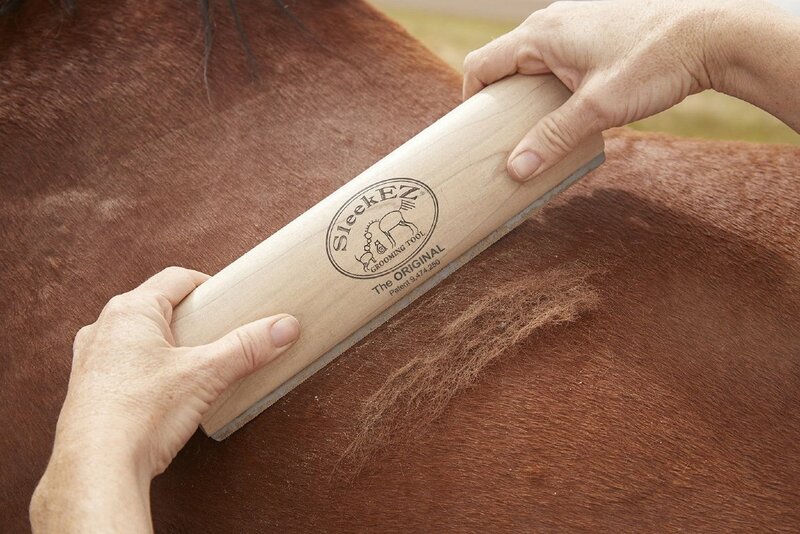 SleekEZ is also a choice product for removing fur from saddle pads, furniture, upholstery, and carpet.